Welcome, internet pilgrim, to a site dedicated to Christian prayer! In a world of so much disorder, find here an oasis of peace. 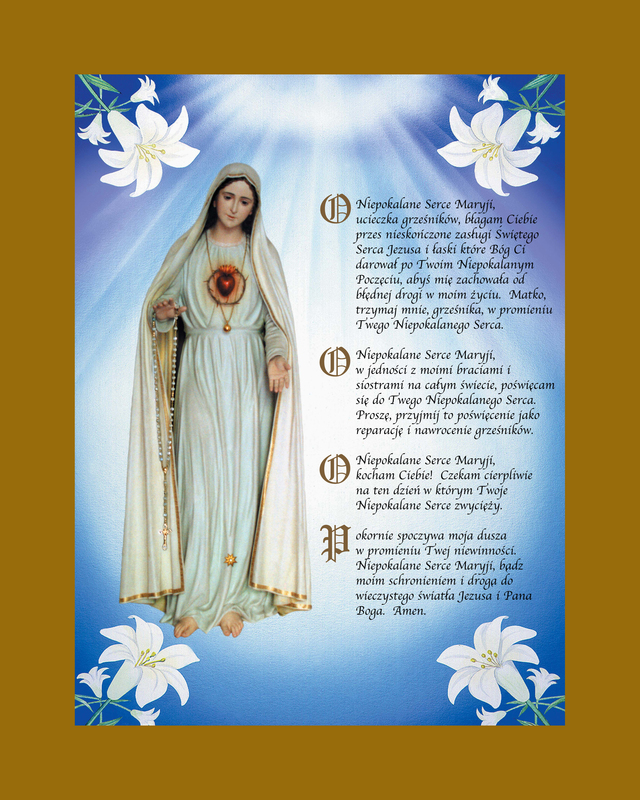 The mission of this site is to encourage a revolution of holiness among souls through devotion to Jesus Christ and consecration to the Blessed Virgin Mary. 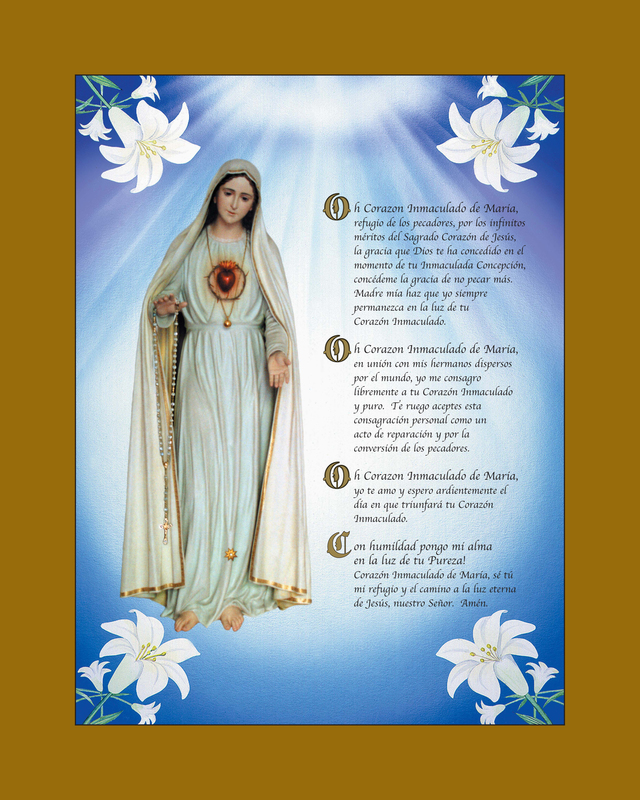 In particular, this site wishes to encourage souls who wish to advance in the spiritual and moral life to make use of a daily act of consecration to the Immaculate Heart of Mary. 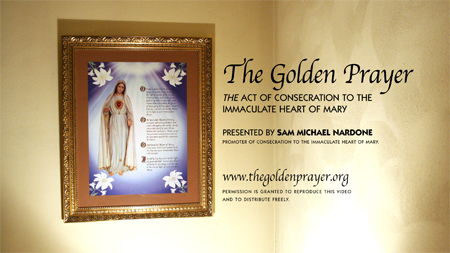 This simple act of consecration, known throughout the world as “The Golden Prayer,” seeks to foster the cultivation of those virtues which were contained so perfectly within Mary’s Immaculate Heart. By becoming better imitators of Mary’s purity, chastity, humility, patience, charity and obedience, we become more perfect disciples of her Son. This website and its contents are therefore offered free of charge to anyone who desires a more intimate experience of God’s love. Please feel free to download any of the videos, audio recordings, images and prayers as often as you wish. You are encouraged to duplicate and distribute them without cost. Priests, consecrated religious and the lay faithful may become cooperators with this spiritual apostolate to advance the Kingdom of God, one soul at a time. 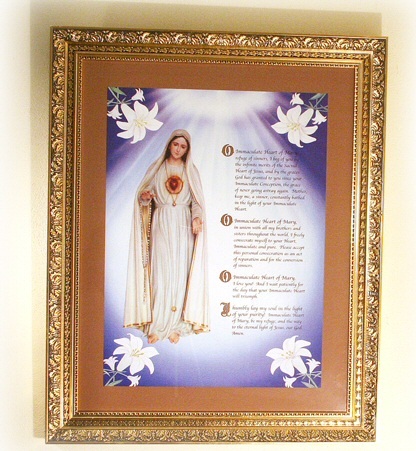 -From “Deus caritas est” (God is Love), the first Encyclical of Pope Benedict XVI, given on 25 December 2005.
in English of The Golden Prayer - 22" X 28"
Suitable to frame for Church use. 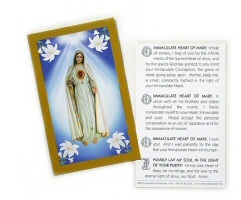 Simply download this PDF, copy the two pages double-sided, cut in half and fold. To watch this video, please be patient while it downloads. For any questions or comments regarding this website please feel free to email sammichaelnardone@yahoo.com at any time.